Morecambe and Grimsby Town go head to head on Saturday at 3 o’clock in League 2, with the pair meeting for the second time this season. 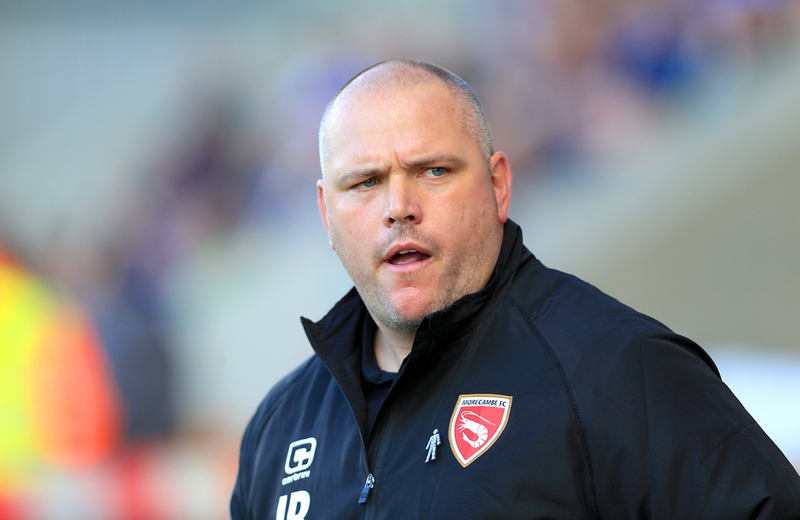 Both sides are placed in the bottom half of the table, with Morecambe in nineteenth on forty-six points and nine clear of any relegation threat, while the away side sit in seventeenth two spots above, three points ahead of their upcoming opponents. The two last met in September, where it was this weekend’s home side who came out on top. Morecambe have lost just once in their last five matches, winning twice and drawing twice during that time. Following an enthralling encounter with MK Dons in March which ended 4-2 in their favour, Morecambe then played out a goalless draw away at Notts County four days later. The next week, Swindon Town subjected Jim Bentley’s men to a 4-0 humiliation at The Energy Check County Ground, and seven days after that they bounced back with a solid 1-0 victory when hosting Crawley Town thanks to a goal from Liam Mandeville late in the second half. In their most recent matchup, Morecambe and Macclesfield Town shared the points as Elliott Durrell equalised for Sol Campbell’s team seven minutes after Zac Mills had given his team the lead. Richie Bennett has scored nine goals for his side so far this season, three more than both Rhys Oates and Kevin Ellison have netted up to now. Bennett’s last goals came in the win versus MK Dons in early March, a game in which he hit the net twice and made one assist, thought the number seven has not earned a goal involvement since. Oates’ most recent goal came in the fixture with Forest Green Rovers, while it is Mandeville who is at the top of the charts regarding assists having supplied seven as of now, three more than Bennett and Andrew Tutte who both have four over the campaign. Grimsby Town have not won in any of their last eight outings, with their last victory arriving in February against Cheltenham Town on home soil. Upon their trip to Tranmere Rovers they were demolished by their opponents by four goals to one at Prenton Park. Four days later, Grimsby were involved in a 0-0 stalemate when hosting Northampton Town, and their succeeding match also ended with neither side capable of breaking the deadlock in the ninety minutes. Then came the 2-0 loss at the hands of Oldham Athletic through goals from Chris O’Grady and Callum Lang with one in each half, and their game last weekend versus Stevenage also finished 2-0 in favour of the opposing team. Wesley Thomas, with eleven goals, can boast the most goals for Grimsby Town up to now, although his last came in the beginning of March away to Crawley Town as he helped his side to a 2-1 win. Behind him on the leaderboard are Kristian Dennis and Jordan Cook with four and neither individual have gotten on the scoresheet since February. In the assists department, it is Elliot Embleton sitting atop the charts with three, one more than teammates Charles Vernam and Luke Hendrie in a side that’s crying out for more creativity.